Last weekend, we went to see the new movie on the life of Jackie Robinson. I highly recommend it and in my opinion, it’s one of the better baseball stories ever told. The result of this venture with Mr. Robinson and the Brooklyn Dodgers’ owner, Branch Rickey, did a lot to begin a major culture shift in America. Eight and a half years before Rosa Parks boarded the bus in December of 1955, Jackie Robinson began his journey into the world of, what was then, an all white-man’s game. Mr. Rickey, a staunch conservative, passionate abolitionist and devoted Methodist, felt it was one of his higher purposes in life to “put a black man in baseball”. But he had to find the right man – a man that “had the guts NOT to fight back”. He found that man in Jack Roosevelt Robinson. I loved the movie so much that I bought a book on Branch Rickey’s life. It’s fascinating, too and it would be great if kids of all ages and all races would read this. I don’t think a lot of them (and a lot of us) are really aware of what it’s taken to get where we are. We’ve come a long way since 1947 . . . but not that far. There’s still a long way to go. I grew up in the ‘60s in a deep-south small town. A lot of things portrayed in the movie “42” were in my face every day. The “whites only” restroom signs with the same sign over the drinking fountain. I don’t want to grade my own paper too high but, honestly as far as I can recall, I never gave much thought to the differences between people with white skin and those with black skin – just different pigmentations as far as I knew. But know this, I’m honestly leaving room for the possibility of selective memory. My parents were kind people – kind to most everyone, so I guess some of that must have rubbed off on me. I hope so. I never heard either one of them utter derogatory slurs. My first exposure to a small taste of the fear that some residents of my hometown must have lived with came one night as I watched the reflection of flames bouncing off the bedroom walls. There was a cross burning taking place in front of the high school that was right across the street from our house. To this day, and I’m really not interested in much further education on this topic, I can’t figure out the correlation of a burning cross and white supremacy. I don’t have to think about it for very long to be insulted, angry and saddened (and anything else I might be leaving out) by the thought of the cross – the symbol of my Savior’s sacrifice – being used to further such a cause. I’ll never know the feelings of the ones that lit the fire or the ones for which the message was intended. It just made me sad. I’ve told this story before, but the one childhood dream that ended with high school was to be a major league baseball player. I knew from the first time I looked at the other players on the college field, that it just wasn’t gonna happen. I was a boy among men. Branch Rickey loved baseball, too. And in one of the movie scenes, Jackie Robinson asked, “Mr. Rickey . . . why are you doin’ this?”. Branch Rickey went on to tell the story of how the joy of the game was stolen from him when he played in college with a black player. He witnessed, first hand, the disgraceful treatment the young man suffered and felt, and that by bringing Jackie Robinson to the big leagues, the joy of the game he loved was coming back to life. And all because he found a man that had the guts to take it. Sometimes, it takes the bigger person to “take it”. We’re a country of reactors – myself included. Rather than take in, ponder, pray, then act, we pull the trigger quickly and react without much thought to the consequences. “ . . . Be slow to speak and slow to anger” (James 1:19) – these are good words to live by. Yes, it’s remarkable that these terrorist attacks haven’t happened more often since 9/11. True. There are lots of people to thank for that and there are reasons to be grateful. But that is of no comfort to the victims of yesterday’s bombings. April 15, 2013 AM . . . all is well, families are excited to be going to the marathon. Spring is here. No April 15th will ever pass in the same way in Boston again. One day you’ll tell your children or your grandchildren of the good ol’ days. They might roll their eyes or just respond with a blank stare. The other day at church, someone came up to me and mentioned they had found an old cassette tape of one of my early projects. Their children looked at them like they were from Mars. Never heard the words “cassette tape”. In some ways, the good ol’ days weren’t that great. New technologies have made life . . . what? Simpler? Easier? While I like having a microwave oven and a cell phone with all kinds of info and resources at my fingertips, I’m not sure I’d define my life as “simpler” or “easier”. Busier and a bit more demanding, maybe. And the good ol’ days weren’t good because of what we did or didn’t have. They were good because people were more generous, kinder, more patient and more reverent. No matter what era, those are good things. I won’t reminisce only to lament loss of innocence. You can’t turn back the clock. That’s like trying to get people to stop using cell phones in their cars. That floodgate is open and will be impossible to close. I’m sad that becoming less generous, less kind and less reverent has put us in an entitled state that’s hypnotic. Instead of circling back and recapturing the best of who we were and are as people, we’ve abandoned the thought of personal sacrifice for the sake of less and less freedom and for security at all cost. And there is simply no way to keep us safe and secure all the time. The strange thing is, becoming more reverent and generous and kind will put us in a posture of serving others, of serving and acknowledging our need for God. It will make us trust Him to intervene in the seen and unseen. To trust Him with whatever happens. I think the reason I don’t care for that kind of thinking is because it takes me out of the driver’s seat. Probably, one of the main reasons people reject a life of faith in Christ and trust in God is simply this – we don’t want anyone telling us what to do! Well, our way isn’t working out so well. Sometimes the best thing to do is the opposite of our natural inclinations. We’re schooled to react instead of act. Being proactive in the face of catastrophe, whether personal or on a national scale, might be the better move – aggressive faith, aggressive service, love and kindness. So, it’s been a while since I’ve written. Here’s a little catch-up from the most recent to a few weeks past. I was in Nashville last week and did a concert with Sandi Patty and Larnelle Harris at Christ Church. What a place! Standing room only! In Nashville??? What??? Someone said “the best way to play Nashville is NOT to play Nashville”. Lots of biz people that have seen and heard it all. It was a tremendous evening. Sandi sang a verse and chorus of the new song she and I wrote called “In the In Between”. I did the new “Heal Our Land” with the support of the tremendous Christ Church Choir! I’ll be playing “Heal Our Land” in every concert this year (and maybe beyond) because I think it’s a message we need to hear over and over again. The night before the Nashville concert, we were, again, sold out in Cincinnati. Rode the bus from Ohio to Nashville. The tour buses are beautiful with lounges, a kitchen, comfortable bunk beds and all the other “necessary” accommodations. But . . .
. . . as beautifully tricked out as these buses are these days, it’s still pretty tough to sleep. Some people love ‘em and are instantly knocked out by the motion. A friend of mine described trying to sleep on the bus as “trying to sleep while someone sits beside you all night, poking you going “hey, hey, hey, hey”. Just when you’re about to nod off, a pothole or quick move to avoid a deer or something says to you “Oh no, no, no . . . not tonight pretty boy”. After the concert in Nashville, I spent the day in rehearsal for the Lord of All Tour with Russ Taff, First Call and Clay Cross – about a 12 hour day in all. I walked in and thought, “What the heck are we gonna do for 12 hours? This ain’t the first rodeo for any of us?? ?” The producer of the show is Tom Jackson. Tom had just come off the road producing the Taylor Swift tour so his credentials are impressive. But still, I’m wondering, as a solo player, what else can I do? Turn this way on this song? Turn that way on that song??? I was so wrong and the things observed by Tom and his team, Lang and Amy, were perfect and very helpful. It’s easy, when, night after night, I play a lot of the same songs in, pretty much, the same way . . . and have for . . . well, let’s just say a long time! Great to have supportive, helpful critique. This is going to be a great evening of music and ministry and I hope you’ll be able to come out. A lot more I could tell, but I’ll just leave you with this. I’m overwhelmed that God is raising us up to share these songs from the past. But, at the same time, I will always aware of the new things He is doing and want to share those things in songs, too. Thank you for your prayers and words of encouragement. Such a real blessing! Continue to pray that God will Heal Our Land. It will rest on us to do our part. To look away from things that steal our hearts from Him, His purity and His glory – to look upon the things He loves and fall in love with those things, too – to keep our plates clean and stay at peace with those around us through confession and prayer – and to always be aware of the meaning of grace and to walk humbly before Him with gratitude – to be thankful always. I’m sorry, but I can’t stand this anymore. I wasn’t going to write anything about what happened in Connecticut last Friday – there are more than enough opinions and forums for people to express them. Actually, that in itself becomes ridiculous in that everyone can voice and opinion – no matter their understanding or no matter what little information or conviction they might have. I just don’t have to listen to it or read it anymore. Just like you don’t have to read this if you’d rather not. Is this the tipping point? No, we have been deceived for the last 40 or 50 years and like a frog in a pot of tepid water that is gradually heated to boiling, it’s now too late to jump out. Are we really so ignorant to believe that gun control will stop this? Really? Or are people are just looking for a quick remedy, a fast fix, a “let-somebody-else-do-something” so they can get back to their reality tv shows, $1 Big Macs and video games and not have to be bothered with the surgery-like pain of real change. Common sense doesn’t play a part in our daily lives anymore and it’s insulting to be led around by the nose as if we’re all so very stupid. Somewhere, almost a half decade ago, things really did begin to change. And listen, I don’t claim to be a social analyst or historian. I’m just thinking back over the changes of the last few decades. There is little real reverence. It’s irrelevant. There is little awe because we’re so very intelligent and “aware”. There is little regard for others because, when we exist in a virtual world of play or voyeurism (watching other people’s problems and concluding “Well, at least I’m not as screwed up as them!). Pain and heartache are suspect because people are so prone to manipulation for their own gain, we’re reluctant to give ourselves to serve them. Isolation works. I can entertain myself. I can teach myself. I can satisfy myself. I don’t need anybody. I was startled into a disbelieving silence last Friday. There was no tearful reaction – just a whisper . . . “What?” When I saw names on the front page of a paper on Sunday, that’s what did it for me. But if people’s hearts are not made more tender, more compassionate, more loving and all the things that happen to a heart when God in Christ lives and breathes in us, nothing, and I mean nothing (in my opinion) will change. Terrorists, foreign and domestic, will find a way to access buildings, institutions and all public place and wreak havoc on innocents with guns, explosives in car trunks, vests filled with nails or steel ball bearings, poisons . . . the list is endless. We have to confront this stupidity and raise the question around you. And by the grace of God respectfully confront the sheep with this truth. This is a heart problem! I have no idea how the parents and families of those dear children can even get out of bed today. So we pray . . .
-for peace that passes understanding, peace that is, in keeping with the situation, illogical and completely unimaginable. But peace none-the-less. _ for compassion and tenderness of heart to surround them. That they will be overwhelmed with expressions of big love. -And for us all, while we embrace reverence and respect, awe and wonder at things we cannot understand, faith to allow God to be God. But still, God help us to NOT be ignorant and not be silent. Small towns know how to rally. 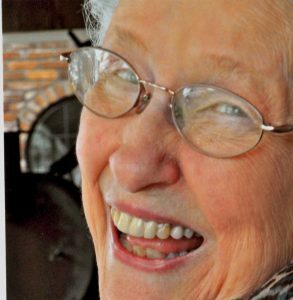 My Mom passed away on a Tuesday and the network of dear, long-time friends and “neighbors” in the truest sense of the word, spun into action and did everything that needed to be done and more. Our little town, in the northeastern corner of Louisiana, has seen some decline over the last couple of decades. On every recent visit, I’ve noticed something else changed or suffering from neglect. The house I grew up in needs some serious yard work. We hope to get up there this fall to watch my niece cheerlead for her high school team, and do some cutting in the yard I once played in. Back then, the yard seemed huge. Now the vegetation is having its way with my old playground. A few hours of trimming and clearing might just do the trick and it’ll provide us with one heck of a bonfire. Fewer businesses are still open on main-street where my dad’s insurance office once stood. There used to be a bank a few doors down from dad, a pharmacy in the other direction, a dime store, a feed store, a hardware store around the corner, a “dry goods” store that sold shoes, jeans and underwear, and a TV repair shop. Mr. Calhoun still actually fixes televisions but has moved his shop closer to home. I suppose the greatest blow came when the state (or the parish . . . not sure who makes these kinds of calls) closed both the elementary and the high schools. The old elementary school building is about a three wood from my house, the high school, maybe a pitching wedge. The elementary school building, where I attended first through seventh grade, has been condemned for several years. I guess there’s no money to knock it down. It’s beginning to be over-grown with vines but every time I drive by, I can’t ignore the flood of memories from the years I spent there. The old high school building has been converted into a community center and, I hear, all kinds of events take place in the gym. I walked in there a couple of months ago to find the hallways, where classrooms stood, permanently walled off. The gym is the only part of the building still being used. The hand-painted bulldog mascot still occupies the center spot on the basketball floor. But when a town loses its schools, it deals a serious blow to the prospect of new families moving in. Most of the people that live there have been there a long time. Some are second, third or fourth generation residents and have found plenty of good reasons to stay and call it home. But with all the economic, social and cultural changes that have found their way to my hometown, it still possesses a charm that might be difficult to explain to outsiders. It would be easy to blow through town and never catch sight of it. But you would recognize the kindness. You would recognize the tremendous outpouring of love and grace. The visitation (some would call a wake) took place on Thursday night after mom passed on Tuesday. The ladies and gentlemen of the church made it clear, “Don’t you worry about a thing.” They served dinner (we always called it “super” and I don’t remember when the word-change took place) while nearly two hundred people came by to pay their respects to my mother, this graceful lady that touched so many lives. Remember, this is a woman that spent her last three years in a nursing home – a little ways removed from the normal traffic of even a small town. Those that came by on Thursday night included a dwindling number of her peers along with children and grandchildren of her peers. There was lunch for all our family at noon before the two o’clock funeral service provided by the ladies of the church as well as desert and coffee after the brief cemetery service. Not just groceries, this was sustenance given in love, with few words spoken, few words needed. Take the school away, close businesses and watch more of the houses fall into disrepair and what you have left is the authentic soul of a town – the people that make a community a real “community.” The buildings are not the soul, the economic heartbeat, as important as it might be, is not the soul, the school is not the soul. The people, with a keen understanding of God’s grace and mercy, with a daily awareness of His presence and with a commitment to being His hands on the earth – that is the real soul of a place. And that soul lives and thrives – the heartbeat is strong in my hometown. A little over a week after laying her to rest, as you would expect, I’m slowly coming to the realization that she’s really gone. Yes, I picked up the phone to call the other day. A simple phone call would bring my mom a lot of happiness. She loved to talk. And I kind of miss the weekly email from Amazon saying “Thank you for your order” as she worked her way through one book after another on her Kindle. One of the hardest things for me to deal with right now is getting back into harmony with the urgency of this life. I listen to the radio or try and watch some mindless television show and I’m amazed at the insignificant minutia some call important. Sports radio hosts are all worked up over the latest trade or the NFL season opener and political pundits continue their war of words over a truckload of all-so-important issues. I don’t think my mom is concerned over who occupies the White House anymore, but I know this . . . I’m going to try put a better filter between the important and the not-so and maybe get less worked up over everything in general. The urgency just doesn’t really resonate right now. And common errands seem more common. After a life well-lived, leaving her mark on the world around her with honor and dignity, she is not (as some might think) getting what she deserves. She would be the first to tell you that none of us deserve a heavenly eternity, but by the grace of God, the free gift He gave, we receive it and lay all the crowns at His feet. My dear Mom passed away last night around 9 PM. One more of the greatest generation has slipped away. They weren’t given that title casually. It fits. She was a great lady. Mom was 88 years old and has dealt with lots of annoying physical ailments for years. Three and a half years ago, she moved into the nursing home a quarter of a mile from my childhood home. She left the house she’d lived in for 50-plus years willingly. Living alone in the house had become lonely and, at night from time to time, she would hear noises and that would make her nervous. Every now and then, she’d fall and would have to wait for someone to come and help her up. So the nursing home provided a safe place, a place where there was an abundance of friends and caregivers that interacted with her every day. She quickly became a favorite around the home. Before much time had passed, she established a small library (she loved to read) and encouraged everyone to check out books and enjoy the variety of materials. Mom diligently proofed all the reading material to make sure there were none of “those words” in the text. We gave her a Kindle a couple of Christmases ago, not knowing if she’d take to the new fangled gadget or not. She loved it even though the little tiny buttons frustrated her. A the time, there wasn’t a wireless network in the nursing home so she’d roll her wheelchair to the end of the hall facing the First Baptist Church (They had wireless . . . and it was powerful!) and tap into their network. I had her on my Amazon account and about once a week, I’d get an email from Amazon thanking me for my order. 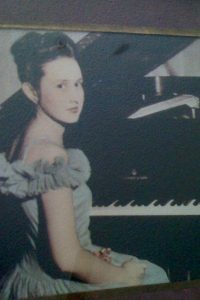 She played piano for some of the functions at the nursing home even though her fingers were seriously bent from arthritis. I bet she still didn’t make many mistakes. I suppose I got my music from my mother. And, possibility, any sense of humor. She was very sharp and funny to the very end. Sunday, August 5, she was admitted to the hospital having lost use of her hands and feet. Her kidneys were failing. She was firm in her decision to not have dialysis. She was just too frail to make the trips to have the treatment and didn’t want to live that life. The doctors told us that without dialysis, she wouldn’t have a chance. So, we convinced her to try three treatments in the hopes that her kidneys would kick-start. It was a long shot, but she agreed. We made plans for hospice to take over on Sunday and the clock started. Sunday afternoon, lots of family began to gather with her more consistently than was allowed in the ICU. Even as I’m writing this, the little things she said to me don’t really translate well to the printed page. They seem insignificant and pale. But as I counted the days – and we had no idea how many we had left – the brief dialogues were and will always be priceless to me. One day late last week, she told me – and I don’t know which mind this was, cloudy, clear or visionary – “I saw your daddy through the window.” “How did he look,” I asked. “Oh, he is young and his hair is dark and wavy . . . he’s so handsome,” she said with a smile. I said, “You’ve got as long as you want, Mom.” A few seconds passed, she pulled the mask down again and asked me, “Have you ever watched anybody die?” “No,” I said. From there, it took a little more than 24 hours. She fought to breathe that last day with all the effort of a marathon runner at the finish line. Her face was growing more and more red and the veins on her temples were standing out. After her last breath, her face was as sweet and clear as a porcelain doll. Race over. Winner. What a fascinating life is this life. The flesh was formed of the dust of the earth and the earth is all it knows. It fights with all it has to stay in the dirt. The spirit knows the future and knows its destiny. The One that formed us calls out to the spirit to break out. One of our friends visiting the hospital shared a quote (origin unknown to me) that went something like this: The spirit exits the body like a schoolboy on the last day of class . . . with great joy and abandon! One of TV’s good guys, Andy Griffith, passed away today. I came home this afternoon and did the usual quick scan of the news page on the computer. I admit I’m a little unfazed by most of the stories. Some are horrific – so much so that I really can’t bring myself to dig into the details, and others fall into the category of “wow . . . are they hurting for stories today?” So, when I saw Andy’s face on the screen, I wasn’t prepared to read that he had died. Friends are calling and expressing condolences. The closest I came to meeting the man that I admired so much was one year at the Dove Awards. He was hosting and I picked this particular year to be absent from the festivities. Wow, now I really wish I’d gone just to shake his hand. A friend of mine told me that he’d met Mr. Griffith backstage, that he was visibly weak and tired looking, but when the camera came on, he was all over it. Can you imagine the thousands or tens (hundreds?) of thousands of hours Andy Griffith spent in front of a camera? I didn’t know much about his private life. My assessments were drawn purely from his TV characters. And mostly from the near total recall I have of most of the episodes of The Andy Griffith show. So, I don’t know the personal details of Andy’s faith. Although, a few years back, he had a huge selling CD of old hymns. But how could anyone that’s just a TV viewer know what’s going on in a guys heart? He sure seemed to have a good grasp on the Gospel and the Christ at the center of it. And I have no clue about his family. I do know he was divorced twice and was married, at the time of his death, to his third wife. Who am I to speak into that? It’s easy to rush to judgment about such things that are so very personal and impossible to interpret given so little knowledge of a person’s life. I just heard that he’d done a political ad supporting the new healthcare plan but I’ll just pass that off. Nobody’s perfect . . . even good ole’ Andy. I do know this – I got a lot of my fathering lessons from my own dad and Andy Griffith. I watched those shows as a child, then again as a young adult, as a young father and now as just me. Of course, it was television with scripts and the luxury of reshooting scenes. Real dads don’t get “do-overs” very often. You just make the call and do the best you can. But Andy gave me some great tips on how to handle children and how to handle life. I loved watching his show, watching Deputy Barney Fife fowl something up terribly only to find encouragement and partnership in the mending from his friend, Andy. I might be wrong (and I guess I’d be stumped on this trivia question) but I don’t think I ever remember Andy ever saying, “I told you so” (or something to that effect) to Barney. Most times, he just put the proverbial arm around his shoulder and set off to fix the problem – many times, giving Barney the credit for the solution. He was a selfless friend, not at all concerned with getting the glory. Some nights when it’s hard for me to shut down, I watch a re-run of the Andy Griffith Show. My wife says my countenance changes. All I know is, I find it soothing and reminiscent of a simpler age and it calms me. I pray that I’ll be a kinder man, a fair and understanding friend, a descent citizen and a man of dignity and faith. We’ll miss you, Andy and I hope, one day I’ll shake your hand. And if there’s fishin’ in heaven, I want to be in your boat. I went to visit my mom this week. By a surprising act of Providence, my Aunt Melba and her son, my cousin, Eric, had come up to visit from Fort Walton Beach, FL on the same day. When mom, my brother and I get together, we tell stories and have a few laughs. Most of the time, we re-tell a handful of the best ones and when you mix in other relatives, they always take on a new twist, eliciting a whole new, fresh batch of arguably accurate comments. We had a great time and every time what’s left of the family gets together, I can’t help but wonder how many more of these informal reunions we’ll have. My youngest son, Adam and his wife, Laura were planning on meeting up with us with their two-year-old twins. My mom, their great-grandmother, has only seen them once so she was looking forward to laying eyes and hands on them again. But, as two-year-olds are prone to do, they came down with some kind of bug – one that came with a temperature and all kinds of running things– and were forced to postpone their trip. I went on anyway. The next few months are busy with lots of concerts all over the place and I just had to seize the moment and see the fam. I wrote in my book “Turning Into Dad” . . . Wherever you go and whatever you do, history is baggage that goes with you – the quirks and kinks that have been woven into you over the course of your lifetime. I guess the more you try to deny some of the less than sophisticated stuff or shake off the less than noble elements of the unique fabric that is you, the more pronounced it becomes. Hardly a day goes by that something doesn’t remind me that I came from a small town in Louisiana, from uncomplicated, kind, hard-working people. I left when I was 17 and never returned to live anywhere nearby. The town has declined a little. The main street shops are almost all gone. At one time, there were stores, offices and businesses of all kinds. My dad’s insurance office was there along with the cotton-buying office, the drugstore, a feed store, some type of five and dime, a bank, Mr. Roach’s dry goods (where I bought jeans – probably Lee or Levis . . . and shoes), a Western Auto (where I bought my first bike, my first baseball glove and the oil to break it in and my first Beatle record. Man, talk about variety) and a TV repair shop. That’s right, a TV repair shop. Back when TVs were repaired and not replaced. Most of them are long gone. People just like us lived on the other side of the tracks. I really don’t know what the big deal was. Some were other races, some not. So? Geez. . . there were some stupid things going on. Deep rooted, sensitive and firmly held but still just . . . childish and dumb. The ice cream place had a “white” window and a “black” window. As a naïve child, the offspring of gentle, Christian parents that muted their inner convictions, their un-confessed embarrassment and unspoken confusion over the “rules” of living in the rural south in the 60s, I thought the “black” window was where you went to get chocolate ice cream and the “white” window was for vanilla. The movie theater closed when I was about ten and I remember it divided the races by levels. African Americans sat in the balcony, not on the floor level. I always thought the balcony would be the cooler place to sit. My Aunt Melba commented on “how nice people are here.” She’s lived all over the place, the wife of my Uncle Lawrence, a WWII Air Force pilot, who passed years ago. Later, she married Hank, another military officer and she outlasted him, too. But she was so enamored by how kind the people of our hometown were and still are. And they genuinely are kind. These that, along with me, persevered through the frightening and silly 60s and came out the other side have retained a gentle, southern politeness that’s easy to recognize and, more often than not, appreciated. Sure, some have held on tightly to their misplaced social convictions (and these are not unique to the south) but for the most part have taken on that kinder and gentler nature that one politician pined for. Of course, there are always some holdouts. But a kinder nature can be the by-product of simply keeping things in perspective – the discipline to be unwilling to trade peace for prosperity, tranquility for acquisition, or contentment for status. The Sprit of God living in us regenerates that nature. We are all at different stages of letting Him show Himself in our thoughts, our speech and our actions but, by His grace, we’re not done yet. So the old home place is in decline as is the old body. But it’s never too late to allow God to keep working His way through our ruble, cleaning out the places that stink, throwing out anything that needs to go no further and replacing it with the good, the priceless and the holy. My wife gave me a puzzle at Christmas. It has 750 pieces. I can’t remember the last time I set out to construct a puzzle at all, much less one with that many pieces. My 88 year-old mother works puzzles but she prefers the 60 piece versions. She doesn’t like the ones with animals. And by the way, if you want to know what mom likes, uh, just ask her. The picture, cut into all these tiny bits, is a view of the New York City skyline with the Brooklyn Bridge as the focal point. It’s obviously an old view, one that includes the twin towers of the World Trade Center. It’s always a little eerie to see the towers in a picture or movie or television show. But there they are in the picture on the outside of the box. It’s eerie, but I kind of like seeing ‘em. Lots of “re” there. Reminders, remembrance, recovery, resolve. I’ve had a mild fascination with the Brooklyn Bridge since I read the incredible account of its construction by historian, David McCullough. I’ve read almost everything he’s written – books on the Johnstown Flood, the building of the Panama Canal, Harry Truman, etc. I read “Truman” during an extended recovery period after surgery in 2009. It was somewhere in the neighborhood of 800 pages and I don’t think I skipped a single one. The story of the building of the Great Bridge was amazing and I highly recommend it. At the time it was built, there was no structure in New York City or Brooklyn as high as the two towers that still stand on each end of the bridge. The combination of vision, ambition, science and business that brought this marvel of engineering into being is awesome in the truest sense of that overused term. So, last fall, when we were getting the itch to visit NYC again, walking across the Brooklyn Bridge was on the list of things to do. We took the subway to Brooklyn on a cloudy Sunday afternoon a couple of weeks before Thanksgiving and took the long stroll across. It was spectacular. That, to some degree, gives reason to why she gave me this particular puzzle. Again, it’s been a while since I did one of these things. So, we upset the everything-always-in-the-right-place equilibrium of our house, cleared off the dining room table and emptied the box. I took my time putting it together. At times, I would look at the sections where progress was being made, then at the scattering of homeless pieces and think, “Man, there have to be some pieces missing.” We got the border done first, but even that seemed to present a problem. The border pieces are flat on the bottom or top as the case may be, right? Well, about eight pieces that fit together at the bottom did not lock into place in the only place they could possibly go! I guess I’ve spent so much time in church over the course of my lifetime that most everything “preaches” to me. There are some puzzle pieces that look like they fit. Heck, they actually do work . . . sort of – they sort of fit. The problem is, as all the other pieces find their places, the ones that sort of fit mess everything up. They look ok until you get in there (in my case, with a good pair of glasses!!) and check it all out. Then you can see a tiny discrepancy and you realize the piece is in the wrong place. Is there a perfect way for everything to go, or when we get a little off track and make some mistakes or impulsive choices that can never be made right, does God, then, set us on a good path again, just different from the first path? I don’t know. I just know the big picture will be right if we make sure all the little pieces along the way fit into the right places. The big pic won’t be obvious until all the little pieces find the right fit. One of the hardest things for me is to take care of what’s right in front of me. I have the punishing tendency to play the life-tapes too far back, relive some painful episode, then relive it again and again. Or roll too far forward into the undone, the not yet, the maybe it will happen or maybe it won’t, the what if? Last summer I played golf with my two sons, Neal and Adam. For a lot of reasons, it had been a long time since we’d done anything like that . . . just the three of us. We met at the golf course early to hit a few balls before our tee time. At that hour, the driving range looked right into the rising sun. I hit a few shots, tried to follow the flight of the ball then closed my eyes rather than look right into the sun. I started to concentrate on what was happening at my feet – right in front of me. When I was able to see a few shots land, I realized I was hitting the ball pure and crisp. I couldn’t (never could and still can’t) do anything about what happened to the golf ball after it left the clubface. All I could do was concentrate on the constants, the things that were in my control, the one thing that was right in front of me. The results were good and for the whole round, I played a few shots over my head and put up a pretty good score. So the one-piece-at-a-time thing just might work pretty well in a ton of applications. And in the end, the picture just might be a work of art. Most sports fans in Houston have shamelessly boarded the NFL’s Texans bandwagon. Those of us that pledge our loyalties to other teams for most of the season (mine goes to the Greenbay Packers for a lot of reasons) have allowed the local team a little love. And, wow, they took us by storm with a run of 7 wins in a row with a team that’s had more than it’s share of setbacks. The Texans lost, over the course of the season, the starting quarterback, the backup quarterback, a first round draft pick from several years ago that was one of the best defensive players in the league, a great receiver, and on and on. A week or so ago, this year’s new defensive coordinator, Wade Phillips, fresh from being released from the Dallas Cowboys head coaching spot last season, alerted the media that he would be absent for a couple of weeks and would be having surgery immediately. Wade Phillips took the Texans defense to the top spot in the entire NFL. A radio host on one of the local AM sports talk shows said, “If there is a God, He hates the Texans.” Do I really have to explain how put off I am by this??? I actually called them to protest their idiotic banter. Deaf ears, I’m sure. At the beginning of the season, the Texans had great promise. Even before scheduled games began, there was talk of a long-awaited, first ever playoff appearance. This kind of gab always amuses me before a single ball has been snapped because it discounts the unknown – namely the untimely injuries that no one can predict. Ask the Indianapolis Colts how they felt about suddenly losing their starting QB, Peyton Manning. Hasn’t been such a good season in Indy. But Thursday night, the home team Texans played Lucas Oil Field in Indianapolis against the one-win Colts with every expectation of winning against the Manning-less ponies. Even with our third string QB and our injury-laden lineup, everyone in Houston expected to come away with a win. We had been invited to some friend’s house for dinner that night, so I fired up the DVR. Man, it doesn’t seem so long ago we put in tape cartridges the size of a classic Dickens novel, set the timer, crossed our fingers and hoped the clock was set to PM and not AM. When we got home around 10, I thought I’d watch the game. Beautiful, right? Fire right through the commercials and . . . sweet! Heck, I even hit the 30-second advance button right after a play was blown dead. Play after play after play uninterrupted with little to no inane color commentary from the NFL Network wannabes. The fact that the Texans lost in the last seconds of the game made for a not so merry off-to-bed time. I woke up this morning with a few items on the plate with Christmas day right around the corner. But while I was off in the yard doing some cleanup, I thought about the football game last night and how I watched it . . . flying past all the incidental seconds that filled the spaces between the good stuff. And the thought of it left me a little, well . . . flat. Sure, I got to focus on the highlights or, in this case, the low. But I missed the threads that lead up to the good stuff, the fabric that makes a competition so entertaining. I missed the anticipation of the next move. There wasn’t time for imagination or for armchair quarterbacking strategy. It was just action without a huddle. There are times we’re led to believe that life is all action (at least, everyone else’s). If you’ve been to a movie lately and paid attention, or tried to pay attention to the previews and trailers, you’re know that moviemakers have determined that our span of attention is, oh, about 3 seconds before we need to be slapped around by a new scene or story line. Action and more action! And so, when our lives follow a path that’s a more ordinary or mundane, we think, “What’s wrong with me? Why is my life so boring?” It’s not. It’s life as it really is. Exhilarating, hair-raising adventures, waves crashing and thunder bolts that last for a few minutes or, at best a few hours, then gather back into a calm, sometimes sleepy, pool of reality. And sometimes the reality pool can stay still for a long time. Watching a game on the DVR doesn’t give you much perspective. There is no “between the lines stuff” and the highlights all run together. It takes some of the fun out of it and denies you the bigger picture. Everything takes on a different look when we have perspective and when we breathe deep while we’re waiting for life to unfold. Ever notice that when you get stressed or in a tense situation, one of the first reactions is to, pretty much, stop breathing. At best, the breathing gets really shallow. Breathing deep between the big stuff makes the tension and apprehension that usually comes with anticipation of the next big thing more tolerable. I heard a great line in a movie preview a couple of weeks back. I don’t remember the film, just the line. God is not done yet. Merry Christmas!